It seems like lately I haven’t done a whole lot of running alone. In the past few days I had two new running “dates” with some awesome girls and one with an old friend. Sorry, Jess- you are the "old" friend. Friday morning, before school, I met a coworker in the school parking lot and we went for a quick 3.5 mile run around Brunswick. 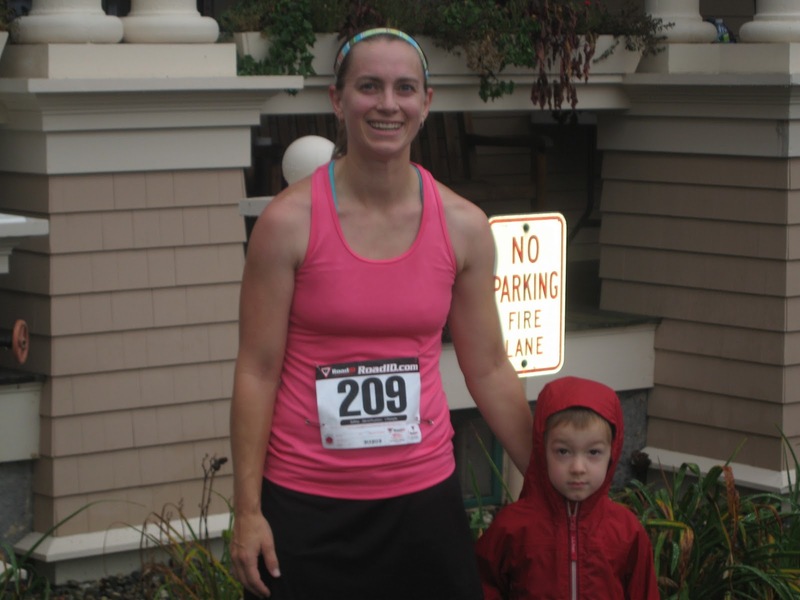 She has young kids as well and has a hard time finding a time to get out for a run. Fortunately for me, my in-laws live right down the street from my school, so I drove over to their place and showered before school. I have to note that there is a shower at HBS, but it’s in the school nurse’s office and the amount of puking and other bodily fluid episodes that happen in her office make me rather sick to my stomach, so I wanted to avoid showering in there. Gross! Saturday, Jess and I ran together. Nothing new there. It was nice running 4 miles with her rather than 26.2 miles. We were done so quickly, it felt almost weird. We didn't even have time to talk about pooping in the woods or anything like that. Then on Sunday, I had the opportunity to run with Carrie from Maine Mom on the Run and my sister-in-law and running girl, Jill. We met at my favorite running spot, on the rail trail. Carrie’s plan was to do 8 miles and I was a bit nervous if I had enough in me for an 8 mile trek. Jill stayed with us for the first 3 miles before turning around and heading back. That left Carrie and I to continue on for the next mile before we turned around. We filled that time with chatting about our families and running. I do love that the miles just seem to pass by quickly when running with friends. I cannot wait until Carrie can run with the entire group! I think running with a friend is my new favourite thing - although so far I've only got one friend who has "volunteered". Must find me some more running friends! Love it!!!!! And I can't wait!